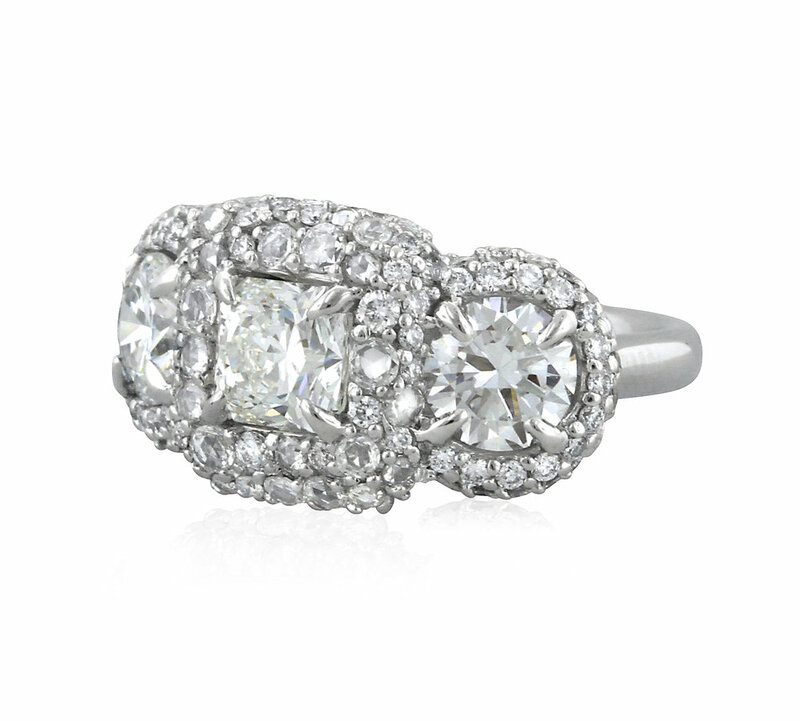 Thought of by Ashley as the “Princess Ring”, this ring was designed to be fit for true royalty. 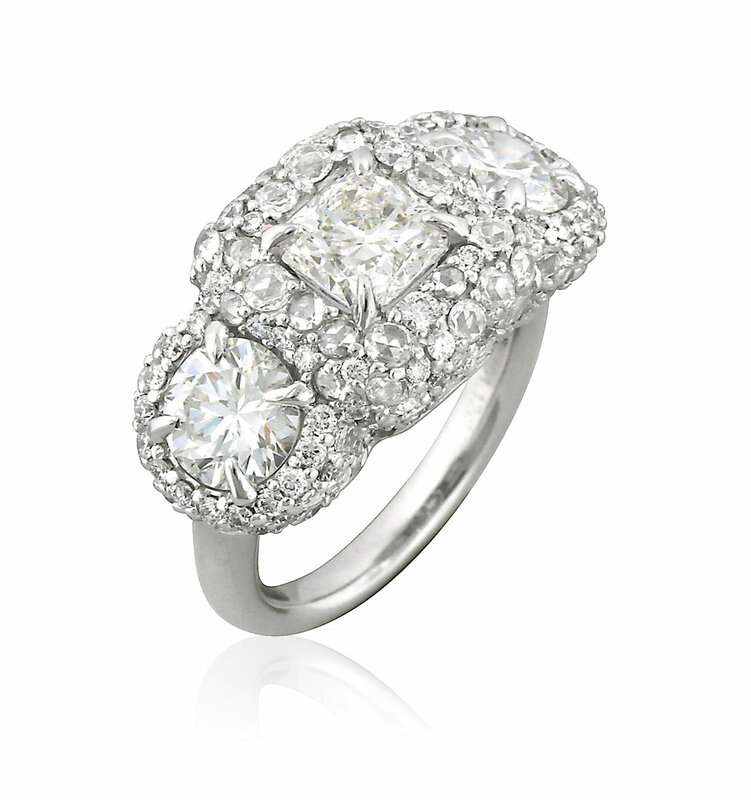 The princess-cut diamond in the center is flanked by two round brilliant cut diamonds. The bezels for these three glittering centerpiece stones look as if they were virtually dipped in diamonds. Round white diamonds cover every available surface, leaving a glittering and lasting impression of sheer decadence and diamond-studded beauty.